Our friends, the McCulloughs, started a tradition several years ago of bringing our family pizza dinner, from Pizza Perfect (a yummy local Pizza shop) on the night of my first day of class each year. What a gift to have someone else take care of dinner after day 1 of class. How thoughtful is that? I love this tradition for many reasons, including that they stay and eat with us and that Lindsey usually brings homemade cookies! A couple of years ago, she brought these incredible Turtle Back Cookies. I love good cookies, and I am tempted to eat more than I should. However, these were on an entirely other level. 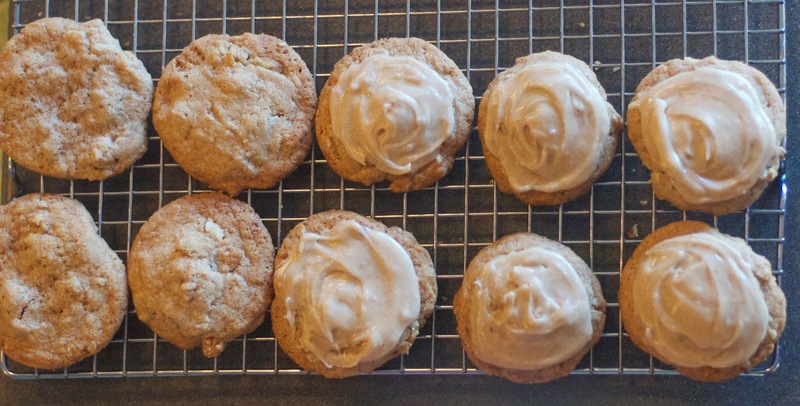 They were like cookies meets spice cake with caramel frosting! Trouble! I loved them…maybe too much! The bakery has since closed and the Turtle Back Cookie fans are left scrambling to recreate these special treats at home. Unfortunately the owners haven’t shared their secret recipe. If you google “Traeger’s Bakery Turtle Back Cookies” you will find many attempts at the recipe. This is Lindsey’s favorite recipe thus far. I told her she can stop the search! I have never had the originals, so I can’t compare them, but I can say that they are one of my favorite cookies/desserts! The texture of the cookie is lovely. It is chewy, with a good cinnamon/brown sugar/nutty flavor and a nice crunchy edge. 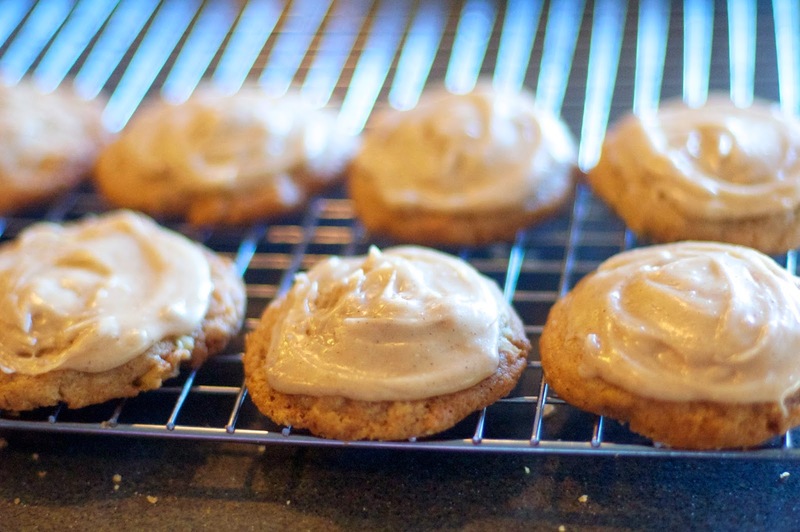 The thick caramel frosting on top makes them more of a dessert than just a cookie. Sift together flour, cinnamon, soda and salt; set aside. Cream together shortening/butter, sugars, eggs and vanilla. Stir in other dry ingredients (flour, cinnamon, soda and salt). Add pecans. Chill dough several hours or overnight. 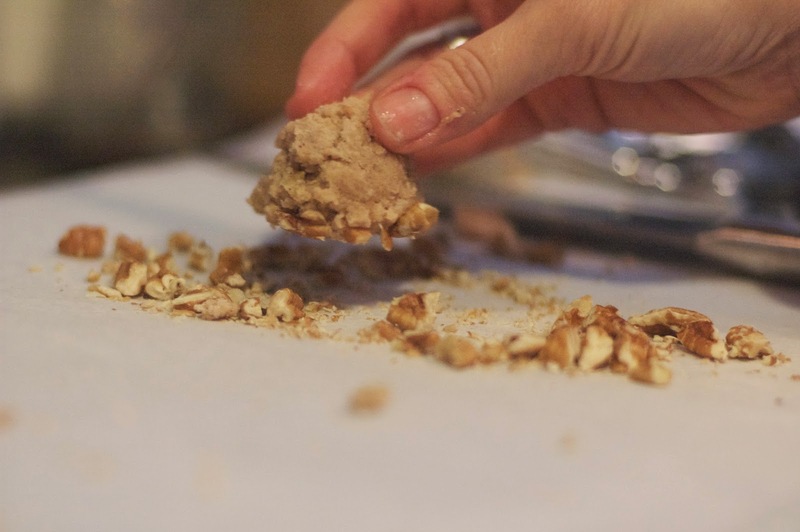 Drop with 1 5/8 inch cookie scoop onto foil or parchment paper, which has a layer of chopped pecans. 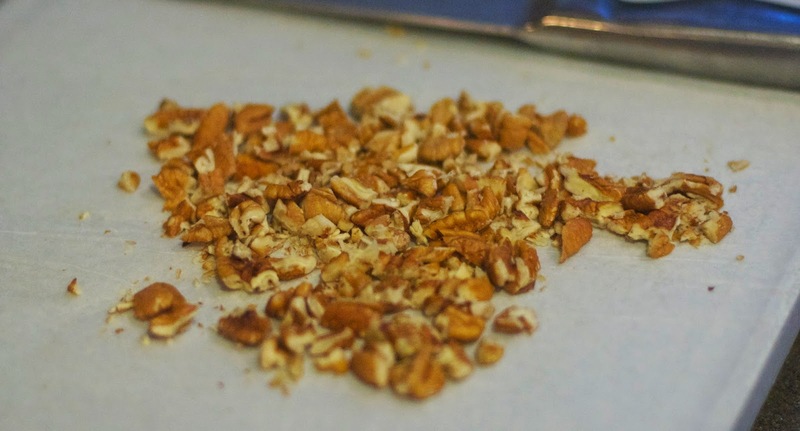 Press bottom of cookies onto pecans. Place on cookie sheet lined with parchment. Bake at 325 degrees for about 12 minutes or until fully cooked when touched. Cool before icing. 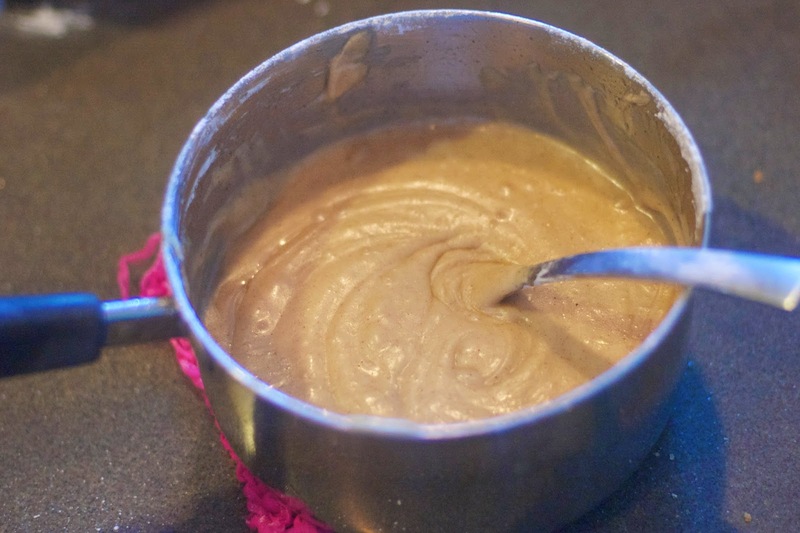 Bring butter and brown sugar to a boil and simmer 2 minutes. I have made them twice and one time the dough felt dry and crumbly. They turned out thick and puffy, which looked good, but they were drier and crumblier. If this happens to your dough for some reason, add a little milk or water to your batter to soften it up a bit. the cookie itself is an an excellent spice cookie! Make someone’s day by baking them some of these lovelies. It makes a nice big batch, so there are plenty to keep and share. And while you’re at it, maybe offer to bring a pizza over too and sit down and enjoy it with them. And make their entire week brighter!